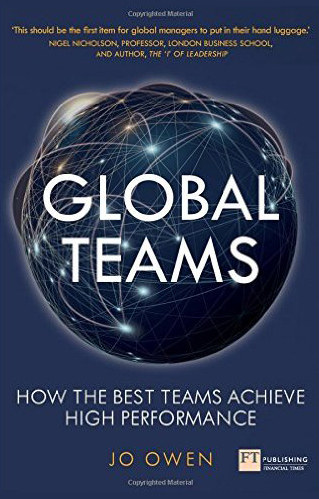 Global Teams is the book that answers the questions most teams need to address. Bertrand Lavayssiere, Ares & Co, Strategy Consultancy. How can I ensure my global team delivers results? How can I communicate effectively across time zones, language, distance and culture? How do I manage different cultures and ways of working? How can we build a team which trusts and understands each other, remotely? How can I influence, motivate and hold people to account when I rarely see them? How do I need to adapt to succeed in a different culture? Global Teams is based on original research and work with over 100 firms in most industries in over 50 countries. Globalisation used to be code word for spreading western practices around the world. Global Teams takes a truly global perspective and shows what it takes to make teams work anywhere in the world. What works depends on where you are: the rules are not the same in Beijing, Boston, Berlin and Bogota. Click download for a sample of Global Teams. Click hereto purchase Global Teams. Customised and/or signed copies of Global Teams for you and your teams. If you would like signed copies for you and your colleagues, contact the author directly. You can have copies dedicated to you or your colleagues and signed by the author: available for standard retail price of the book plus £5 postage and packing regardless of destination or quantity.